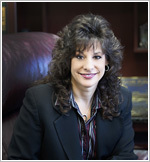 Jami Lynn Duckson has been practicing in the area of family law since 1995. She opened Palm City Law in 2002 for the primary purpose of serving the local community in all areas of family law. Since that time she has represented hundreds of clients in divorce, custody, visitation and adoption matters. Ms. Duckson recognizes that no issues are more important to you than those directly affecting your family. The philosophy of Palm City Law is to insure that the emotional and financial impact of the legal proceedings do not exceed what is necessary to resolve your case in as positive a manner as possible. Working for the betterment of the community she lives in has been a lifelong commitment for Ms. Duckson. She began volunteering with special needs children and the elderly while living in Pittsburgh. While a law student she volunteered with the Juvenile Advocacy Project division of the Legal Aid Society of Palm Beach County. Since moving to the Treasure Coast Ms. Duckson has been an active member of the Junior League of Martin County (JLMC). She spearheaded a relationship between JLMC and PACE Center for Girls, a school for at risk teenagers. She was nominated in 2006 for the annual Women of Distinction for her work with PACE. Ms. Duckson earned both her undergraduate and law degrees from the University of Florida.